In the first ever comprehensive analysis of Homo floresiensis individuals, who have been dubbed ‘hobbits,’ researchers determined that the population evolved from large-bodied Homo erectus individuals from Asia, but shrank due to “insular dwarfism” or the “island effect,” which occurs when a population evolves in a limited environment. The researchers, led by Yousuke Kaifu, an associate professor at the National Museum of Nature and Science in Tokyo, compared the hobbit teeth with the teeth of 490 Homo sapiens individuals, as well as those from various ancient and now-extinct humans. The analysis showed that the hobbit teeth were part primitive and part modern. Additionally, it found that we could potentially be carrying around a small amount of hobbit genetics. “Early modern humans could have intermixed (interbred) with Asian Homo erectus at a small scale,” Yousuke said. However, the teeth were not equivalent to those of the human species, which disproves a previous theory that hobbits were deformed modern humans, as opposed to a separate species. The teeth also didn’t match those belonging to very early humans. Instead, the hobbits’ teeth and skulls were most similar to Homo erectus, the earliest undisputed ancestor of modern humans, from the Indonesian island of Java. 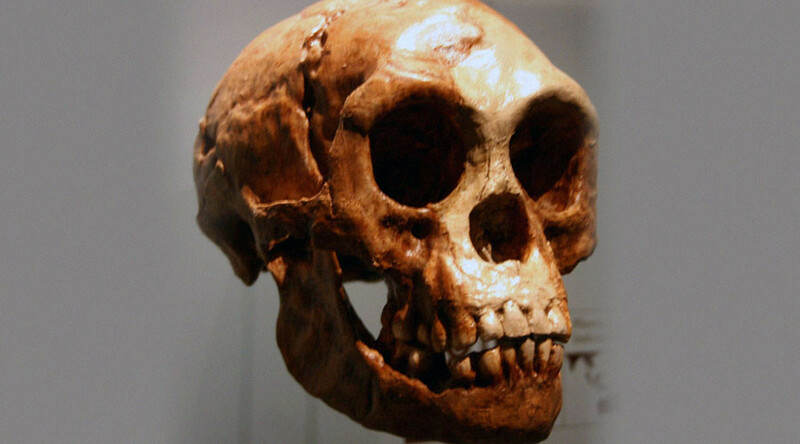 However, Homo erectus – also known as ‘Java Man’ – was about as tall as modern humans. This led the researchers to believe the hobbits underwent dramatic dwarfism, with their bodies shrinking from about 1.65 meters (5.4 feet) to 1.1 meters (3.6 feet). They also believe their brains decreased in size from about 820 grams to just over 390 grams. The so-called hobbits, nicknamed after a fictional race in John R. R. Tolkien’s fantasy saga, Lord of the Rings, are believed to have gone extinct around 13,000 years ago. They have been baffling scientists since their remains were found on the Indonesian island of Flores in 2003.